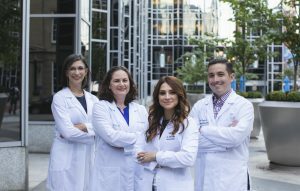 Direct Care Physicians of Pittsburgh photo shoot in Downtown Pittsburgh. DCPP was established by a group of multi-specialty physicians with the goal of connecting patients with direct care physicians and affordable healthcare resources. Learn more at Direct Care Physicians of Pittsburgh!